Connecticut Wildlife magazine's articles are written by the DEEP biologists who are responsible for the management of Connecticut's wildlife, fisheries and forest resources. Every issue includes spectacular wildlife photography, in-depth features, hunting and fishing season information, and natural history articles -- plus no advertising. 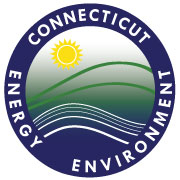 Published six times a year, Connecticut Wildlife is your best source for fishing, hunting, wildlife and conservation information in the state. A magnificent value that also makes a great gift! PLEASE NOTE: Your subscription will be fulfilled by the DEEP Bureau of Natural Resources. Please allow up to 8-10 weeks for delivery of your first issue.